Make your Chrysler 300, Dodge Magnum or Dodge Charger stand out from the others with these custom LED dome light replacements that feature the brightest dome light upgrade available. 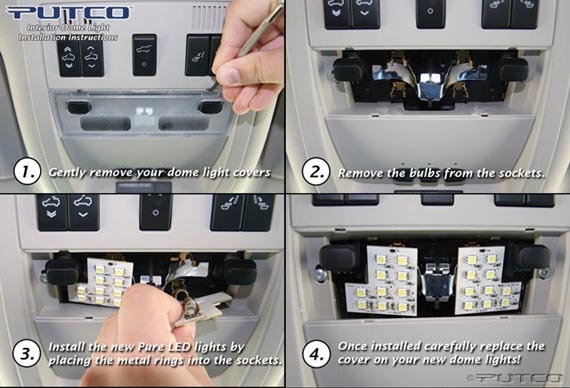 The complete custom design perfectly fits to your vehicle's dome light housings. Requires no wiring knowledge; installation is simply plug and play with the custom connector included with each light.